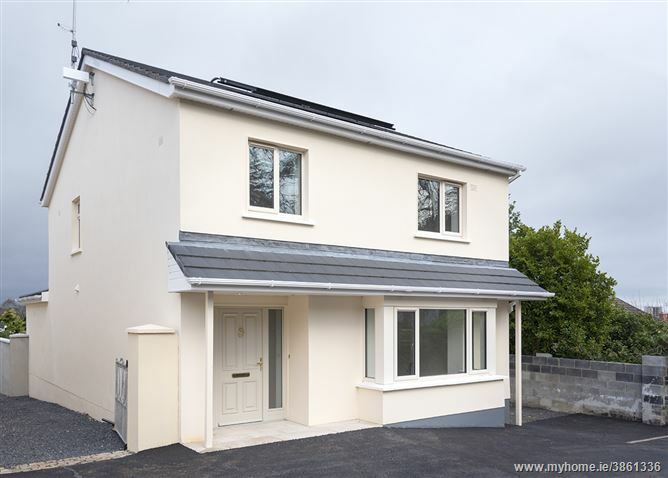 (NEWLY BUILT)Baxter Real Estate are delighted to present to the market for the first time "Annaville" a bright, spacious 3 bedroom 4 bath family home *NEWLY BUILT* in 2016 in the heart of Sandyford village. 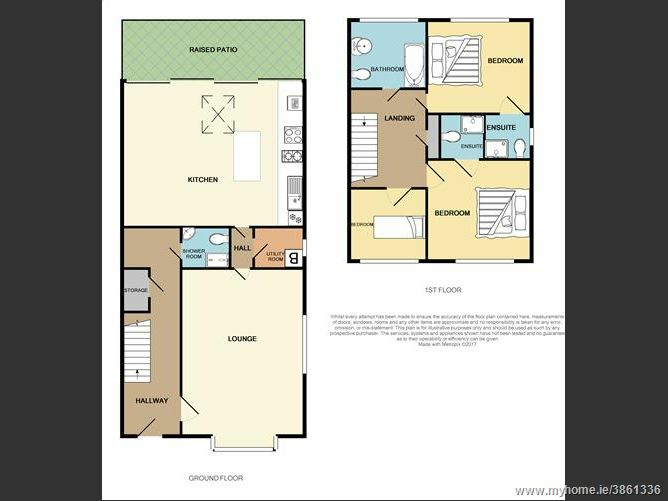 Bright up to the minute design and layout sets Annaville apart from any other home currently on the market, it has been well planned for easy maintenance and designed for comfort and style. Annaville has been built to incredible standards and really does represent the ultimate in village living for people who want something that little bit different. 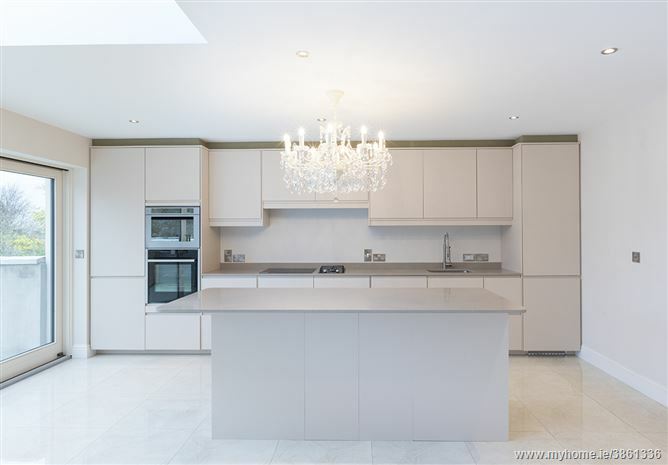 This nearly new property gives the purchaser plenty of scope for the imaginative to express their decorative taste. 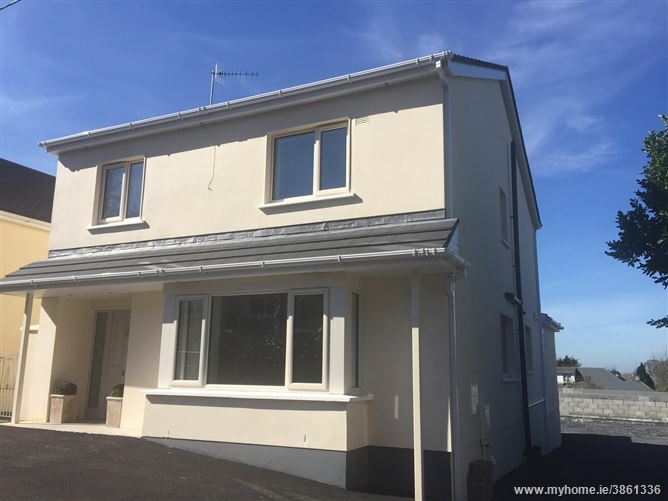 Accommodation briefly comprises entrance hall with walk in storage area, mudroom, and doors to lounge and kitchen, fully fitted kitchen with quality appliances. 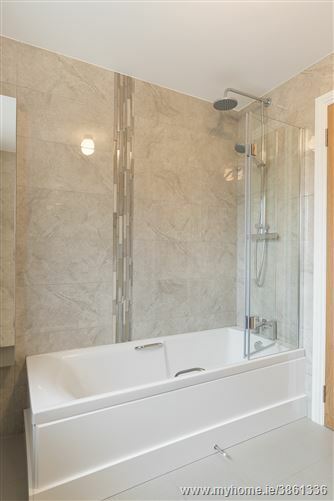 Upstairs there are three spacious bedrooms two of which are ensuite, and a family bathroom. The internal layout of this property is of most practical design with every inch of available space being fully utilised. Annaville enjoys a quiet peaceful traffic free setting yet offering easy access to the city only30 min drive, the Glencairn luas is only c.15min walk opening up Dublin city, Annaville is situated close to the M50 and N11 interchange opening the east and south east of the country for work or leisure pursuits. Annaville is close to a wealth of facilities including Sandyford Village, Stepaside Village all within walking distance. 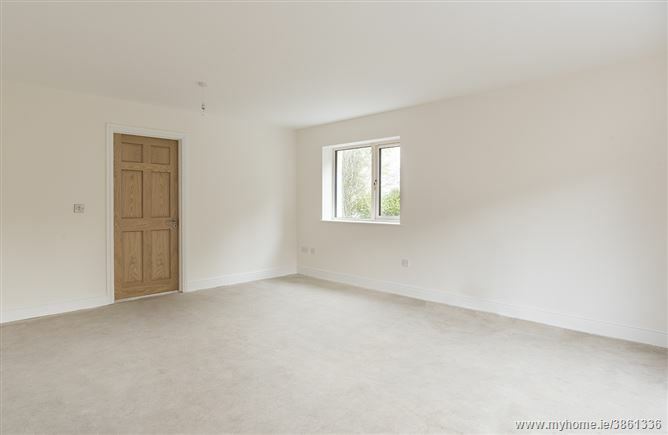 Excellent schools are within striking distance such as Stepaside Educate Together, St.Marys Woodside, Holy Trinity, and Rosemount Girls School, Wesley, Oatlands, St,Gerards and Blackrock college are all within a short drive. Its not often that a property of such generous family proportions comes on the market at such an affordable price, Viewing comes highly recommended. 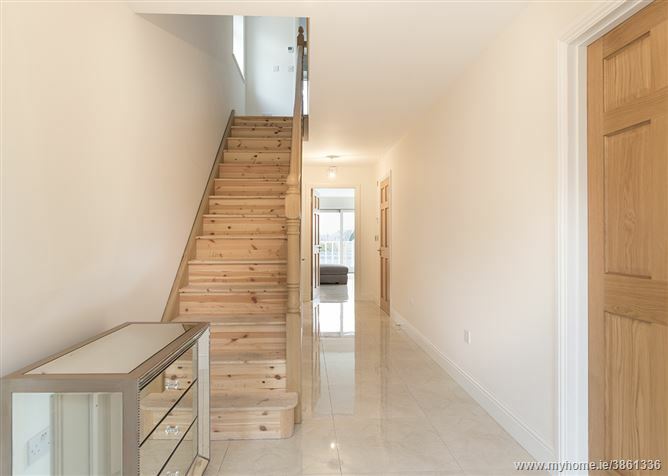 The large porcelain tiles adds to the sense of space in the hallway and doors lead to walk in storage area, fully tiled mudroom, lounge and kitchen. The digital thermostat will ensure a warm welcome everyday all year long. Fully tiled mudroom with wc, whb, and shower. 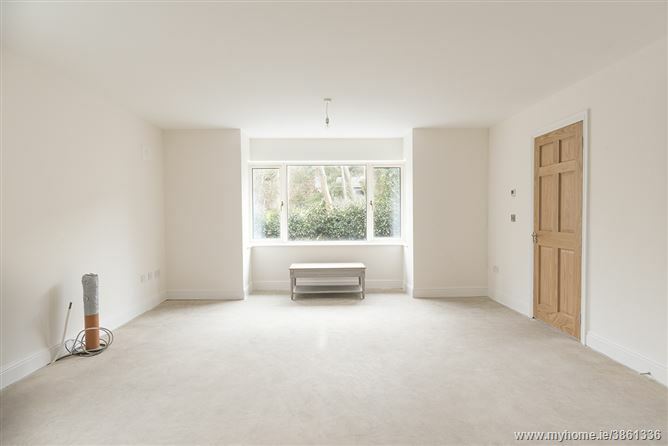 The Bay window is the feature in this room and is piped for a gas fire. Chrome fittings compliment the room further, a digital thermostat will help keep the room cool in the summer and cosy in the winter. 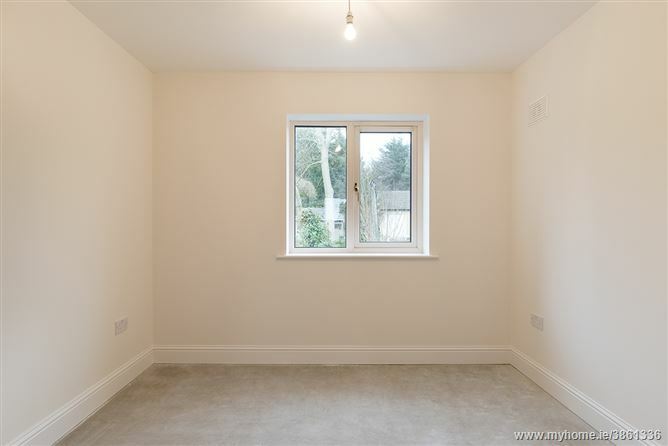 Complete with floor and wall units as well as your gas boiler this room is the perfect place for the washing machine. The tiled floor allows for easy maintenance. 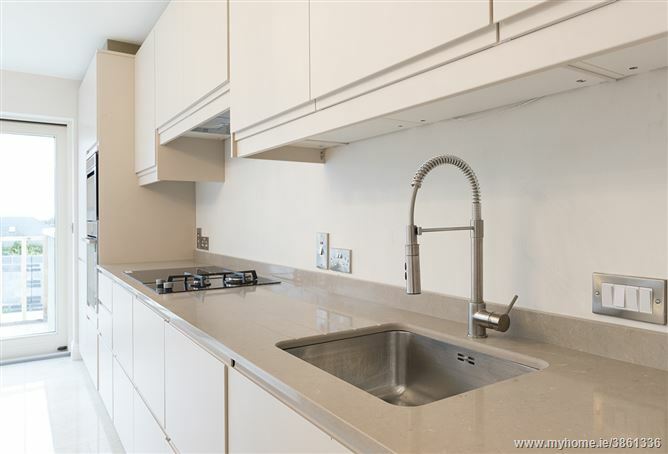 A bright a spacious family sized kitchen with a range of wall and floor units, complimented by granite worktops, chrome spray gun tap, and quality appliances such as Neff Oven, Whirlpool Microwave, Dual Fuel Hob and Electrolux Fridge Freezer. The brushed chrome fittings and recessed lighting are enhanced by the beautiful chandelier suspended over the centre island. The panoramic sliding doors bring the outside in to this kitchen via the raised patio area immediately outside. 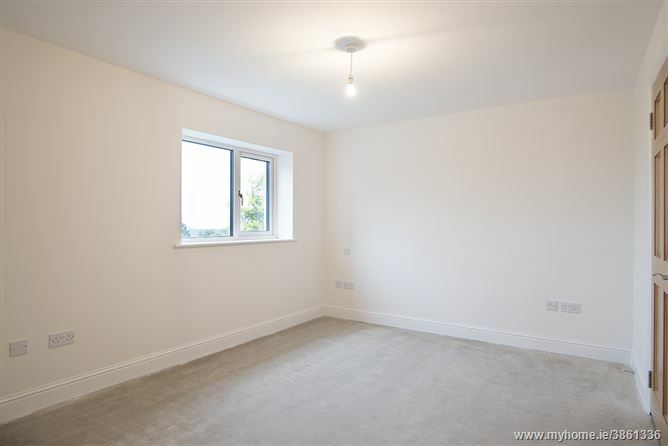 access to all three bedrooms, walk in hotpress and attic via a pull down stairs. 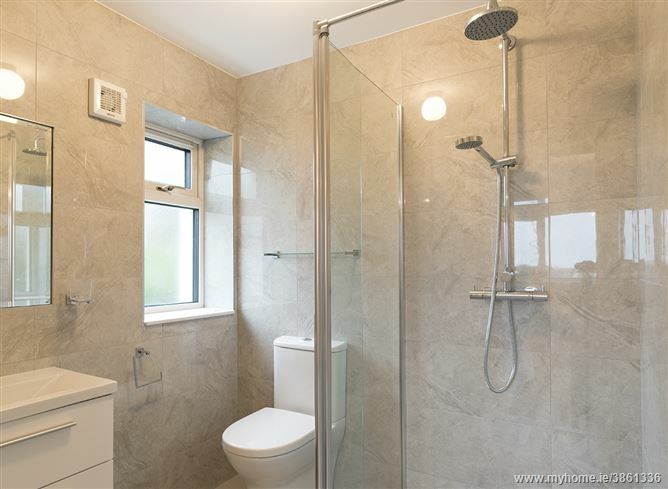 Over looking the rear garden this spacious double room will be perfect as a master or guest room, the shower ensuite is fully tiled and comes complete with telephone and rain shower. An ideal way to start the day. The digital thermostat will ensure your guest is kept cosy all night long. An ideal nursery or home office this room looks out to the front of the property, and comes with is own digital thermostat to ensure baby doesn't overheat during the night.